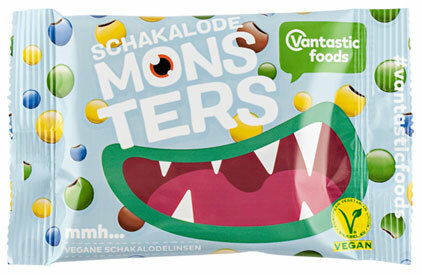 These delicious chocolate beans from Vantastic Foods are reminiscent of M&Ms® candies, but are 100% vegan! Imported from Europe, these delicious little chocolate beans come in fun colors in a crispy candy shell, and unlike other dark chocolate vegan confections, these are a rich and smooth dairy-free chocolate that's much closer to a milk-style chocolate in every bite. Soy-free and gluten-free. 1.6 oz. (45g) packages are $4.29 each.